Win a Valentine's Treat For Your Loved One! 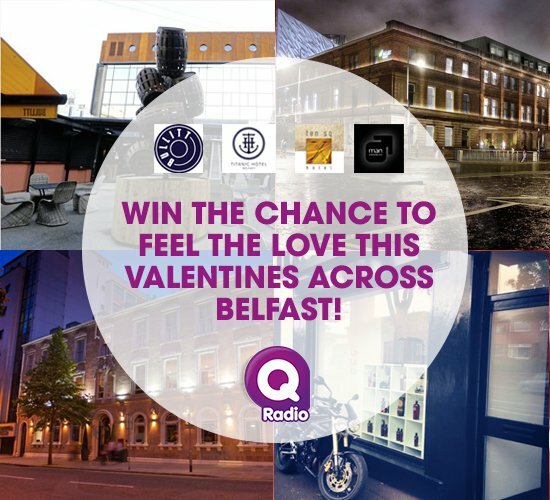 This week on Q Radio we have teamed up with Man-Grooming For Men, Bullitt Hotel, Titanic Hotel and Ten Square, to give you the chance to win Valentines treats for your loved one! To be in with the chance of winning all you have to do is send us a text message, voice note or a video using WhatsApp . Send your details to 07702687001 and describe your love story along with your other half's contact number! Stephen and Cate just might call them, telling them what you said about them and giving them a beautiful surprise this Valentines!